This adapter will allow you to connect an additional 9-pin Leslie speaker of the same type to your installation. 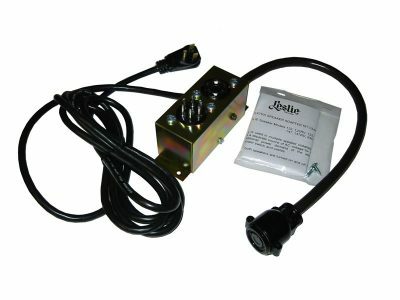 The adapter provides remote “Turn On” of the Leslies and A.C. power to the Leslies. This adapter must be plugged into a 120VAC outlet. The Leslies that can be plugged into this adapter are models 770, 760, 910, 900, 700, 710 and 825. Any other 9-pin Leslie that is plugged into this adapter may cause serious damage to your Leslies.